Come Enjoy The Best Mexican Dishes In New York! 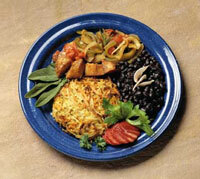 Welcome to Acapulco Deli & Restaurant, home of great, authentic Mexican food! We have a full menu of all your favorite foods for the enire family. Check out our fajitas, they are fantastic, made with steak, chicken or shrimp. Check out our nachos; chips, beans, red sauce & melted mexican cheese topping...delicious!